Mortgage interest rates have generally been on the decline over the last few years, although we have seen a bit of an increase since Donald Trump was elected as the next president. Still, interest rates are hovering around 4%, and this makes it a tempting time for refinancing. And for people who have a USDA mortgage, the interest rates are even lower most of the time. USDA mortgage rates will often beat conventional rates from Fannie Mae and Freddie Mac by ¼ of a point at least. This can mean big savings for a USDA mortgage holder who does a refinance. Also, the USDA makes refinancing quite easy with its USDA Streamline Refinance Program. The USDA is now helping homeowners in 34 states to do fast and easy mortgage refinances through the special USDA program. As of 2018, at least 500,000 USDA mortgage holders are eligible for the streamline refinance program, which can help them to save as much as 35% on their payments. The USDA Streamline Refinance program is the primary way for USDA lien holders to refinance their home loans and potentially save big on payments, as well as interest payments over the life of the loan. The USDA program is quite new, having just begun in 2012. It has been modeled upon other successful streamline refinance programs that the US government offers, including the FHA Streamline Refinance program and the VA Streamline Refinance program. It also bears similarities with the HARP refinance program offered by Fannie Mae and Freddie Mac, which is designed for homeowners who owe more on their home than it is worth. The USDA tries to help as many USDA mortgage holders as possible by keeping loan qualifying standards low and underwriting as fast as possible. Most closings can be scheduled in as little as three weeks after the homeowner submits an application. Before you apply, you need to have made 12 payments on time. Remember that this is not a program for those who are behind on their mortgage. 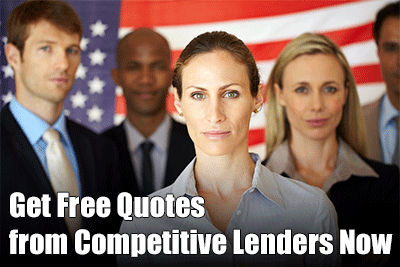 It is to help those who are on time and current to refinance into a lower rate. Those are all of the requirements to be eligible for the USDA Streamline Refinance program. You do not even need to have your credit score checked. So if you have any dings on your credit, you still can qualify for a refinance in most cases and save big every month. Further, you do not need to have a current home appraisal, so there is no chance that the house will not appraise and you will be unable to refinance. There also are no requirements to have the property inspected. There is no minimum credit score standard and the LTV of your home is not considered. You even can refinance your USDA mortgage if you owe more than the home is worth. The USDA offers special home loans for people who want a competitive mortgage refinance and also live in rural America. When the USDA mortgage program first was launched, the US government did limit it to certain states. It did so because the agency wanted to roll it out in a limited fashion when it was first introduced. With it available in a limited number of states, it would be much easier to determine what if any problems there were with the program. The USDA decided to make the streamline refi program available in 19 states at first. These states were those that were deemed to have been hard hit in the recent economic downturn. Those states were AL, AZ, CA, FL, GA, IL, IN, KY, MI, MS, NV, NJ, NM, NC, OH, OR, RI, SC and TN. The program worked very well from the start. It helped thousands of homeowners in those states to get into better mortgage rates and to get their payments lower so they would not lose their homes. After that the USDA then expanded the availability of the program to more states: AK, AR, CO, ID, KS, MO, MT, ND, OK, SD, TX, UT, WA, WV and WI. All streamline refinances have to have the upfront loan fees that are standard for USDA and FHA-approved loans. All of these refinances have to have annual premiums paid as well. Flood insurance is mandatory if the home is in a flood zone. The program requires that your mortgage rate go down by 1 point or more. Loans are available in 15 or 30 year terms. If you hold a USDA mortgage in one of the above states and your rate is well above the current interest rates, you should strongly think about getting a USDA Streamline Refinance mortgage. Given that there are such low qualifying standards, there is a very good chance that you could have a lower mortgage payment in as little as a month!